Analysts only predicted 1.0 percent growth, but official data shows Germany far outpaced France and Italy in Q4 and 2014. Overall the eurozone GDP grew by 0.9 percent in 2014 with growth still split between the haves and have nots. Germany’ s gross domestic product in the fourth quarter, the final three months of 2014, expanded 0.7 percent, Eurostat, the statistical office of the European Union said in a statement Friday. This brings 2014 growth to 1.6 percent, making Berlin the undisputed growth engine among the 28 members of the union. The weak euro is thought to have boosted exports and lower oil prices are credited with increased consumer spending. "This is a thunderbolt. 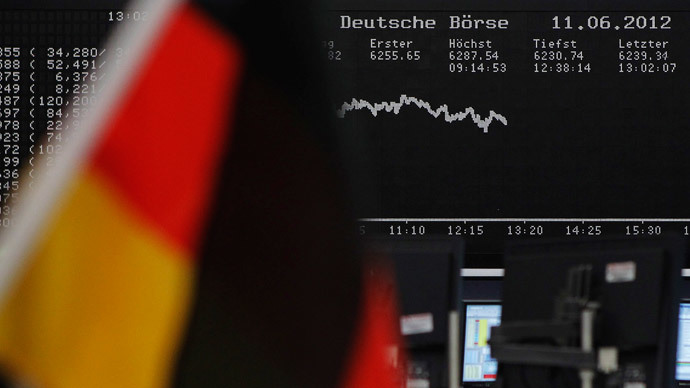 Economic recovery in Germany started much earlier than expected. Some spoke of possible recession after the summer but instead Germany rebounded. The fact that the growth comes mainly from the domestic economy gives strong grounds for optimism," Andreas Rees, an economist at Unicredit, told Reuters. Other countries didn’t fare so well. France only saw its economy expanded by 0.1 percent, and Italy’s economy stagnated to 0.0 percent in the fourth quarter. The Greek economy still hasn’t got up on its feet, and GDP fell 0.2 percent in the last three months of 2014. Cyprus, which suffered a major banking crisis in 2013 related to Greek debt, contracted by 0.7 percent. Finland is the only other EU country that saw growth slow in the fourth quarter. Hungary saw the region’s biggest GDP bump of 0.9 percent compared to the last quarter. In 2014, growth expanded by 0.9 percent in the 19-nation currency bloc and rose by 1.4 percent in the entire 28-nation group. Both figures beat analysts’ forecasts. Record-low inflation and low consumer prices prompted the European Central Bank to act with a trillion euro stimulus designed to steer the economy away from deflation. Germany was very vocally against the ‘easy money’ policy.